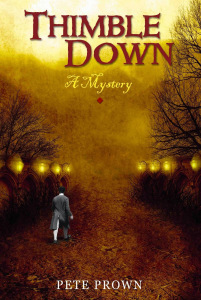 Thimble Down is available on Amazon (http://www.amazon.com/Thimble-Down-Mystery-Chronicles-Dorro-ebook/dp/B00AU4E9JO), iBooks (https://itunes.apple.com/us/app/ibooks/id364709193), and Barnes & Noble (http://www.barnesandnoble.com/w/thimble-down-pete-prown/1114056025?ean=9781624883408). Many in the crowd were also ogling the gem-encrusted brooch pinned on Bing’s left breast. Indeed, more than a few secretly began to covet it. Among them was one Halfling who decided—at that very moment—to steal it. I thoroughly enjoyed reading this excerpt. Thanks for posting about Thimble Down!